Wide open spaces. Room with a view. You know that I don't shy away from adventure. Whether I'm visiting foreign countries for work or exploring the backroads of Iowa adventure is always on my bucket list. 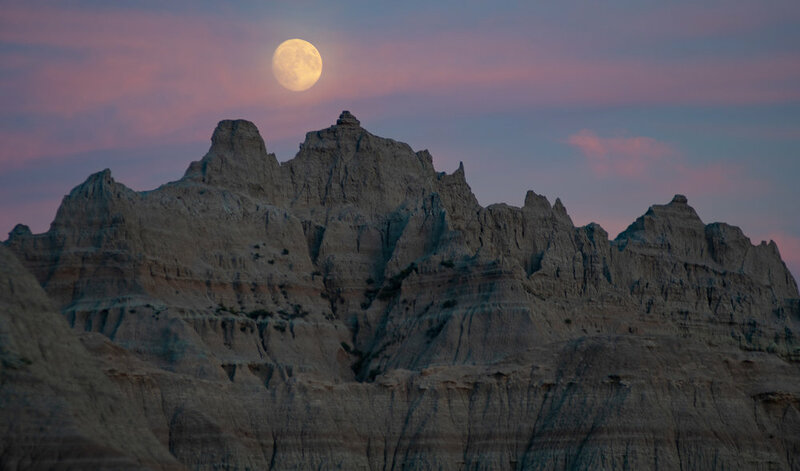 The moon shines bright over rock formations at Badlands National Park in South Dakota. Last week I loaded by motorcycle with a change of clothes, tent and sleeping bag and took off for western Nebraska. Why Nebraska you might ask? Primarily because of the weather forecast but also because I knew it was rich in one ingredient. Americana. Prior to this trip, my travels were like a majority of visitors to the state. Interstate 80 with a stop here or there and a boring view that stretches for miles. Over 450 miles until the next turn as my GPS reminds me when travel home from the Rocky Mountains in Colorado. But this time I took a different route. I wanted to soak the state up and that choice didn't disappoint. I decided to take the Sandhills Journey Scenic Byway north of Grand Island. 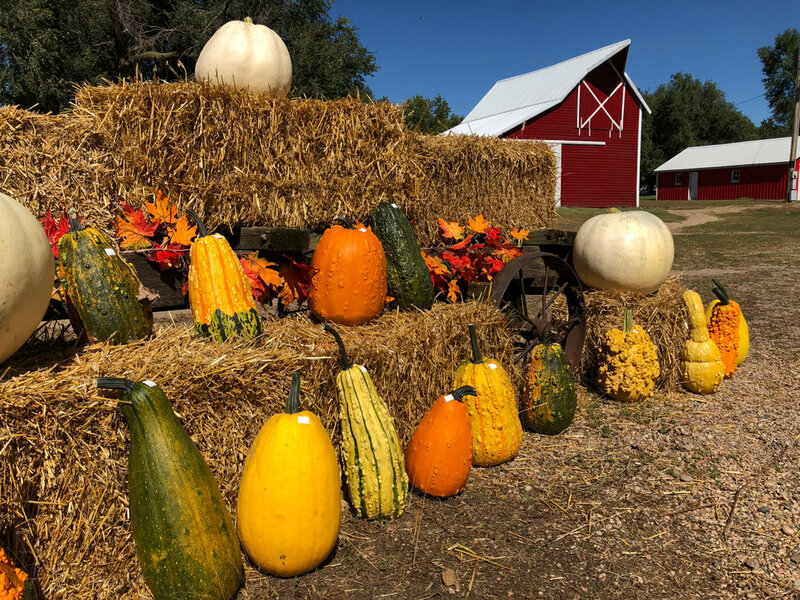 The trip is a riders dream comprised of a 272-mile stretch of highway that passes through numerous towns, scenic areas and plenty of great people to meet along the way. I also extended the trip by visiting the Scottsbluff National Monument and headed north to visit Badlands National Park in South Dakota. Visiting with the fine folks that live in Nebraska - One individual stands out in particular. I was filling my bike with gas near Mullen when a rancher with a cowboy hat and big belt buckle looked around the pump while he was filling up. He told me he would trade me for the bike and and we had a great conversation. His son was playing in an eight-man football game down the road and then he was going to work cattle with his horses. The wide open spaces - It had to be a solid 20 minutes since I passed a car or went through a town. As I scanned the rolling hills bordering the highway, I spotted a freight train heading toward me about a mile away. As it neared, I raised my arm and gave the conductor a thumbs up. He responded by blaring the horn as we passed. No words exchanged just respect for the moment as we passed. Carhenge - think Stonehenge but made out of cars. 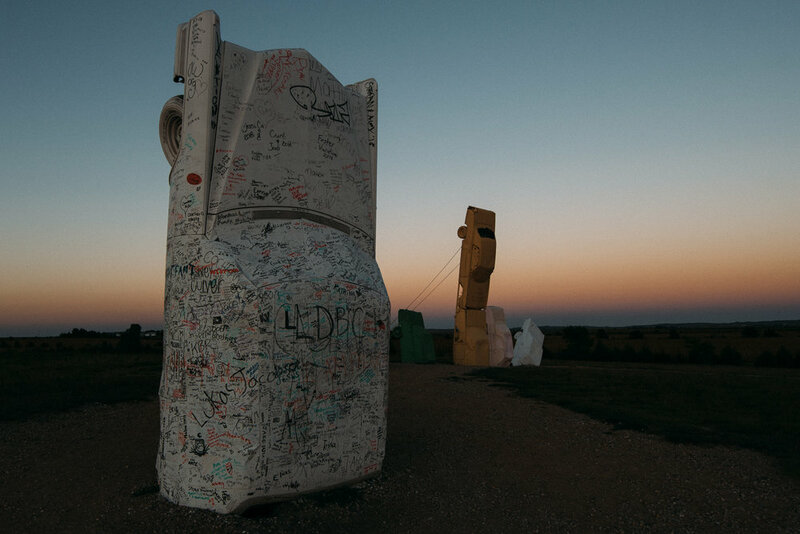 This eclectic monument is just north of Alliance and proved to be a cool spot for photos as the sun dipped below the horizon. 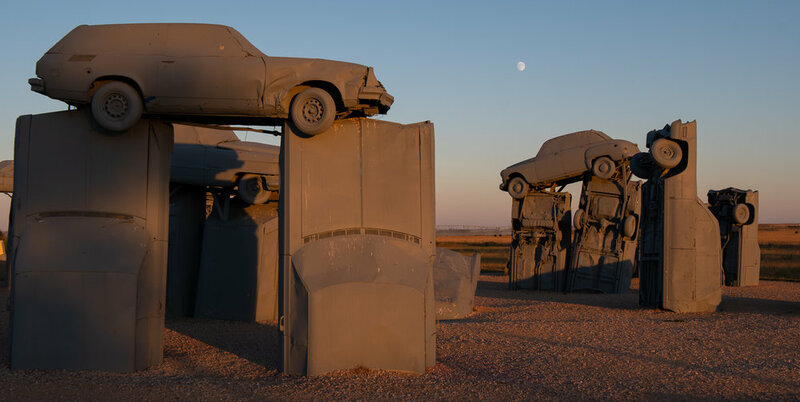 Carhenge is a replica of the world-famous monument that was built by Jim Reinders as a memorial to his father in 1987. Scottsbluff National Monument - No dysentery here. 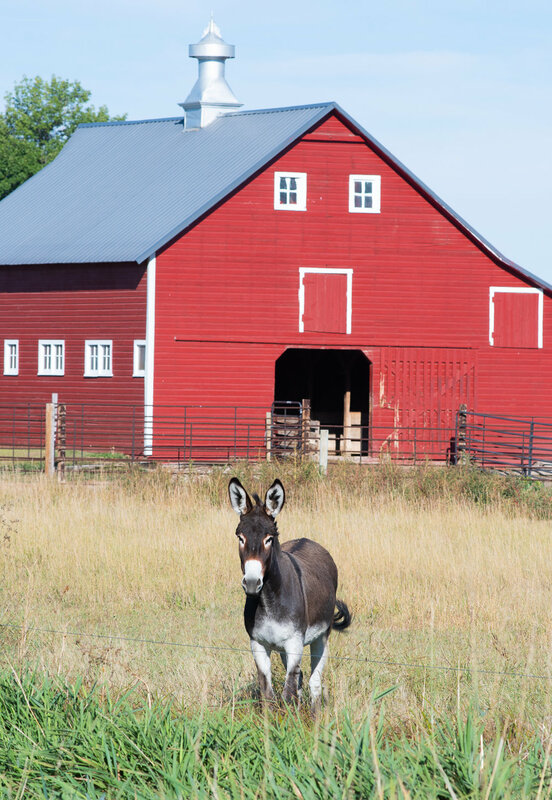 Just an amazing National Landmark that serves as the gateway to the Rocky Mountains for travelers on the Oregon Trail. For those that enjoy history, this area was pivotal during the western expansion. The view from the top was amazing in every direction. 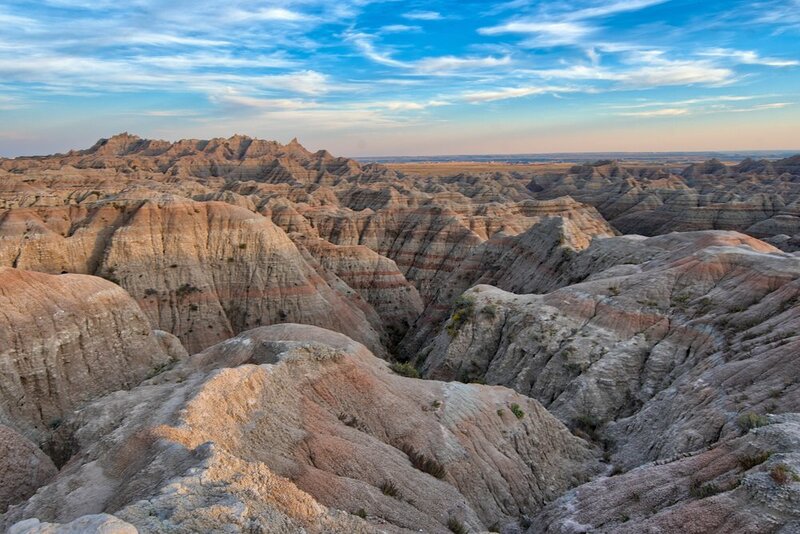 Badlands National Park - 244,000 acres of amazing views and unique geologic features. I spent the night at Cedar Pass Campground in the shadows of the massive formations caused by erosion and layered deposits. 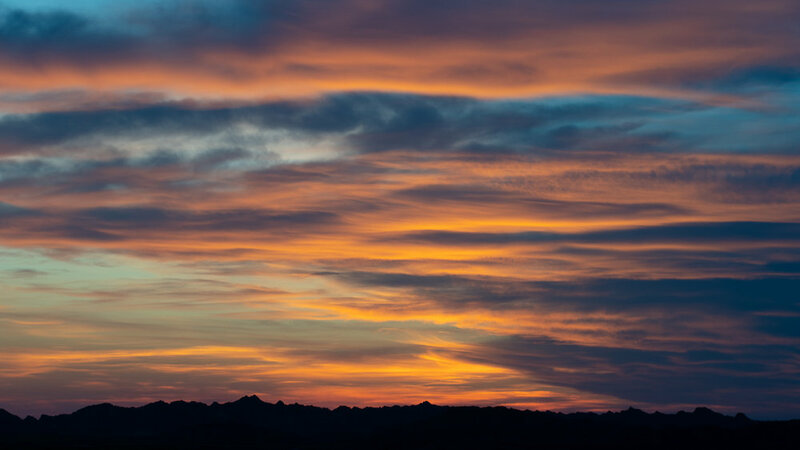 Take a look at this selection of photos from my three-day trip.